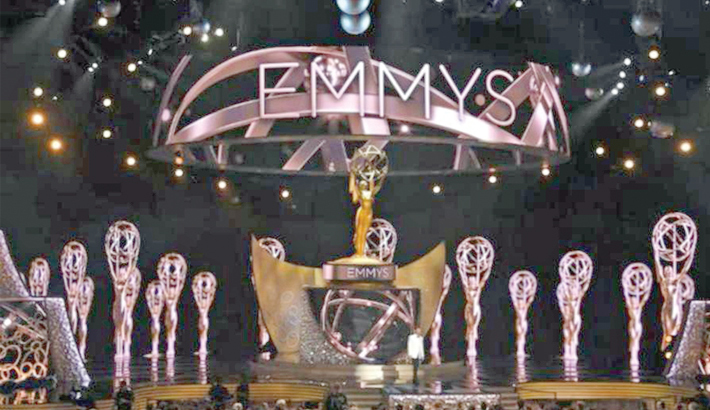 Television industry watchers are expecting past winners to relive old glories Thursday as Hollywood’s awards season kicks into high gear with the announcement of the Emmy nominations, reports AFP. The Television Academy’s 22,000-plus members were given two weeks in June to sift through a crowded field of several thousand entries for the small-screen equivalent of the Oscars. Critics agree that it hasn’t been a vintage year for new TV, with very few shows breaking through. Still, perennial favorites have largely delivered and the medium continues to out-innovate cinema. “As someone who has traditionally been more about movies than TV, the richness of the small screen landscape these days genuinely excites me,” Hollywood entertainment journalist and producer Simon Thompson told AFP. “It’s taking risks that Hollywood is still hesitant to take, and so far they are paying off.” Pundits say that while perennial awards darlings like “Saturday Night Live” have been tapped to bag the most trophies come September, the race for the most nominations remains up in the air. The Emmys recognize shows that were on in the 12 months to May 31, meaning several big-hitters are absent, from “Better Call Saul” to “House of Cards” and “Veep,” shows that have earned almost 100 nominations combined. Netflix’s “House of Cards” has been keeping a low profile since its star, double Oscar winner Kevin Spacey, became embroiled in Hollywood’s sexual misconduct scandal, and returns next year minus its star. HBO’s “Game of Thrones” made television history in 2016, becoming the most decorated fictional show since the awards began nearly seven decades ago, and returns after a year off. That means the defending drama champion from 2016 will be pitted against last year’s winner, Hulu’s dystopian sci-fi series “The Handmaid’s Tale,” which is also the 2018 favorite. Other nominations are likely to come from NBC’s family drama “This Is Us” and HBO’s dark sci-fi western “Westworld,” Netflix hits “Stranger Things” and “The Crown,” and FX Cold War spy show “The Americans.” The most star-studded category, as ever, is best actor in a limited series or TV movie. The contenders include Al Pacino (“Paterno”), Kyle MacLachlan (“Twin Peaks”), Benedict Cumberbatch (“Patrick Melrose”) and Michael B. Jordan (“Fahrenheit 451”). The early money for the win in September is on a much lesser-known face, Darren Criss (“The Assassination of Gianni Versace”). “Versace” is one of the few serious contenders this year that can claim to be entirely new, although it is part of FX’s “American Crime Story” brand from the mind of Emmys mainstay Ryan Murphy. The follow-up to the acclaimed “The People v. O. J. Simpson” (2016) is expected to dominate the acting races among the limited series and TV movies—with Penelope Cruz, Judith Light and Edgar Ramirez also hoping for nominations.